Depression is the leading contributor to the burden of disease worldwide. Stigma and negative attitudes to depression can act as barriers to treatment and to social inclusion. Understanding attitudes to depression and treatment has implications for individual outcomes and societal mental health. To explore public attitudes to, and management of depression, including lifestyle factors, medication, and psychotherapy. A nationally representative online population survey of Irish adults was conducted by RED C.
Nine hundred ninety-one people completed the survey. The majority thought that depression was a medical illness (90%), was different to sadness or stress (89%), and that awareness of depression was increasing (89%), while stigma was reducing (69%). Self-reported lifetime depression rates were high and were significantly higher in younger people (18-34 yrs) (63% vs 55%, p = 0.017), and in urban areas (60% vs 44%, p < 0.0001). Younger people were less likely to contact their GP (46% vs 61%, p = 0.034) and reported more stigma around antidepressants (ADTs) compared to older people (> 55 years) (74% vs 58%, p < 0.0001). There were negative attitudes to ADTs and a preference for talking therapies and lifestyle changes. Males were more likely to hold negative attitudes to ADTs. Stigma around depression is reducing and public awareness is improving. However, the very high self-reported lifetime rates of depression may reflect milder forms or emotional/psychological distress, rather than clinical depression. Negative attitudes and stigma towards ADTs remains high. A collaborative, sustained effort is required to advance public appreciation of mood and its management, across the severity spectrum, in tandem with destigmatising the targeted use of ADTs. The online version of this article ( https://doi.org/10.1007/s11845-019-02014-7) contains supplementary material, which is available to authorized users. We would like to acknowledge and thank John Rogers and Ciara Clarke from RED C Research. 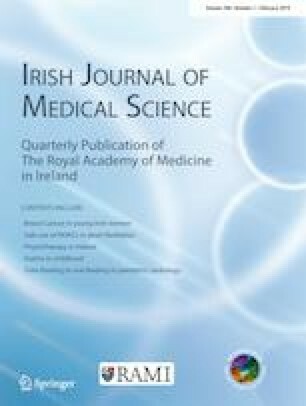 This study emanated from a Health Research Board Knowledge Exchange and Dissemination Scheme Award granted to Professor Veronica O′ Keane. The authors assert that all procedures contributing to this work comply with the ethical standards of the relevant national and institutional committee on human experimentation with the Helsinki Declaration of 1975, as revised in 2008. The authors assert that ethical approval for publication of this paper was not required by their local Ethics Committee.